[ေၾကာ္ျငာ] တာခ်ီလိတ္ၿမိဳ႕ ရွမ္းစာေပနဲ႔ယဥ္ေက်းမႈကြင္းအတြင္း ဒီဇင္ဘာလ ၁ ရက္ေန႔မွာ က်င္းပမယ့္ Triangle Music Festival!!!! တာခ်ီလိတ္ၿမိဳ႕ ရွမ္းစာေပနဲ႔ယဥ္ေက်းမႈကြင္းအတြင္း ဒီဇင္ဘာလ ၁ ရက္ေန႔မွာ က်င္းပမယ့္ Triangle Music Festival!!!! 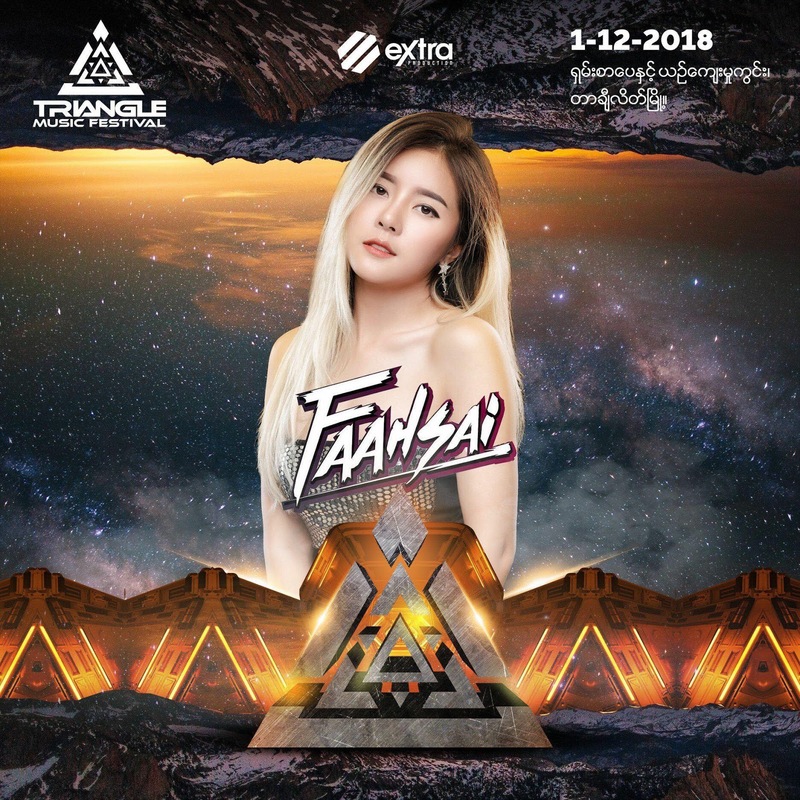 Rounding out the Triangle Music Festival lineup we have and this time with another DJ from Thailand DJ Faahsai Official!!! Triangle Music Festival ရဲ႕ ပရိသတ္ႀကီးကိုလည္း Dj Faahsai က ဘယ္လို ေဖ်ာ္ေျဖမႈေတြ ေပးသြားမလဲဆိုတာခံစားႏိုင္ဖို႔ Triangle Music Festival လက္မွတ္ေတြက္ို အခုပဲ ေျပးဝယ္ထားလိုက္ေတာ့ေနာ္…………. Please welcome DJ Faahsai, who stands in front of the line for being the most skillful in terms of brining the crowd together and played at some of the best clubs in Singapore, Australia, UK, Korean and neighbours' countries. Lately, you would see her performing and incorporating trance music to bring engagement and impact on her fans. In dedication to her recent discovery and her passion for trance music. တာချီလိတ်မြို့ ရှမ်းစာပေနဲ့ယဉ်ကျေးမှုကွင်းအတွင်း ဒီဇင်ဘာလ ၁ ရက်နေ့မှာ ကျင်းပမယ့် Triangle Music Festival!!!! Triangle Music Festival ရဲ့ ပရိသတ်ကြီးကိုလည်း Dj Faahsai က ဘယ်လို ဖျော်ဖြေမှုတွေ ပေးသွားမလဲဆိုတာခံစားနိုင်ဖို့ Triangle Music Festival လက်မှတ်တွေကို အခုပဲ ပြေးဝယ်ထားလိုက်တော့နော်………….